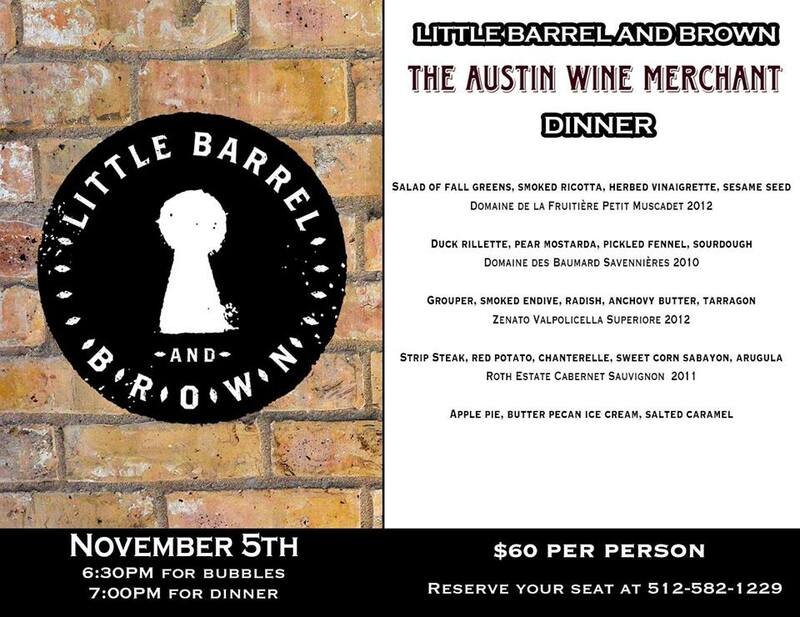 Little Barrel and Brown will be hosting a wine dinner provided by The Austin Wine Merchant on Nov. 5! This special five-course pairing dinner ($60 per person) prepared by Chef Russell Dougherty will feature Austin Wine Merchant’s Dean Schlabowske, a wine and spirits expert who will be on hand to discuss each wine and food pairing, and answer diners’ questions. 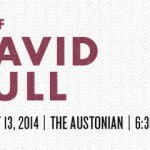 Austin, events, Food, Wine. Bookmark.